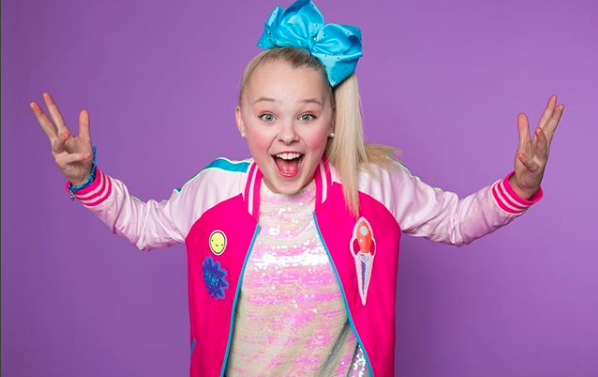 There are an endless amount of reasons as to why we love the sensational, JoJo Siwa! She’s a brilliant actress, singer, social media star, and a fan-favorite dancer. Seriously, JoJo Siwa can do it all and do everything so magnificently. The wonderful JoJo Siwa first stole our hearts on the hit show, Dance Moms and ever since then, we have been obsessed with the outstanding, dancing queen. Well now, you can get your very own dance and athleisure wear inspired by JoJo Siwa as Nickelodeon announced its fabulous partnership with the renowned dance and activewear brand, Danskin. There are two JoJo Siwa inspired collections, one available now in-store and online at Target and another collection available in April 2018. JoJo Siwa has such a brilliant, vibrant personality and her bubbly persona and positive vibes are clear to see throughout her two, exceptional collections. The JoJo Siwa inspired dance and athleisure collections are definitely a must-have and something you’re going to want to add to the top of your holiday wish-lists. We’re super excited to rock our very own items from the JoJo Siwa inspired collection and we love this extraordinary partnership between Nickelodeon and Danskin.